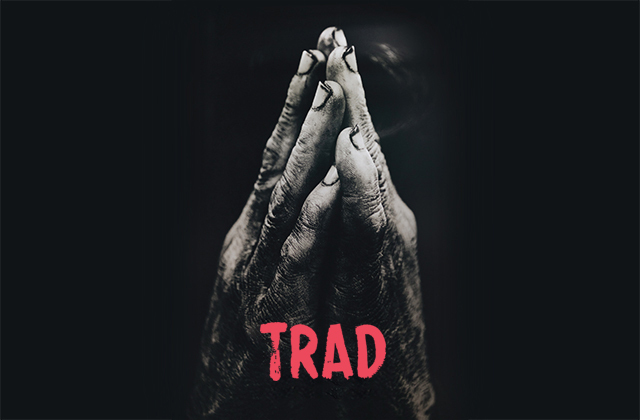 We had the chance to talk to Aaron Monaghan about Livin’ Dred’s production of Trad which opens on the 5th April at Pavilion Theatre, Dun Laoghaire and goes on tour until 24th May. See www.livindred.ie for more details, dates & venues. Aaron directs the production, which stars Clare Barrett, Emmet Kirwan and Seamus O’Rourke. Trad is written by Mark Doherty. You come to this play after your successful performances for Druid of Estragon in Waiting for God and the title role in Richard III. You now revert to directing. Why? AM: Last year was amazing. I suppose as an actor you are always trying to juggle what you are doing schedule wise with also trying to pay the rent. You are trying also to juggle with what is good for you creatively. Last year Druid offered me pretty much a year of work with Godot, Richard III and Shelter as well as couple of other smaller projects. I dedicated therefore last year- a year of my life to acting. I thought that was a great challenge. I was interested to see how I would feel after it. Halfway through the year even though I was enjoying it I knew I wanted to do something different. I had taken over as artistic director of Livin’ Dred, my own company, and I knew there was only one play that I wanted to do which was Trad. And why Trad? It was created in 2004 and revived in 2006 in the Bush Theatre in London so why thirteen years later return to it? AM: When I saw it in 2004 in the Galway Arts Festival I cannot really describe it. It just blew the back of my head off. I thought that I could not believe the language in it. I had not been familiar with Beckett or anything like that. It was an Irish play. It was a rural play. It was a physical play that really spoke to me. I realise now that it has all these references to Beckett. I am not sure whether Mark is deliberately putting in all these references to Beckett but it was like a Beckett for culchies. That is how I felt. I felt at the time I am a culchie. AM: Yes exactly. The more I do of him the more I realise he is over academicised. I think hopefully Druid have pulled him back a little to the culchie side of things. I could not believe the performances and I could not believe the writing. There were lines which stuck with me. So for the last fifteen years I was kind of looking over my shoulder waiting for another production. I felt that it was this masterpiece of a play and nobody was doing it. And every year that went by and I did not see a production of it I was quietly, gently surprised. AM: and hugely pleased but I did want to see it again. The original production was so perfect and had made a huge impact on me. I either wanted to be in it or part of it and if no one else was going to do it then Livin’ Dred would have to do it. Mikel Murfi directed the first production of it. I always consider him as an actor whose body conveys even more meaning than what comes from his mouth. You have been down the same track in the Second Violinist. Can we expect that sort of influence in this production? AM: I think you can. I don’t think you can improve on perfection all that much. What is the expression? ‘Good artists copy and great artists steal’. Mikel is for me, I am not going to lie, it is no secret, is one of my biggest influences both as a director and as an actor. He is an inspiration for me and a friend as well. I was chatting to him not so long ago about other stuff and Trad came up. I would consider that Mikel thinks of himself as a director who also acts but I think it is the opposite that Mikel is an actor who also directs. I took great consolation from that. I obviously love the way he is able to communicate with his body. It is amazing. I am putting very much more of that into my work. I had this fear when I started out as an actor that my body was big, physical and loud. I feared it was always going to be that way. I think the more I continue my career I realise the potential of the body to communicate a lot. 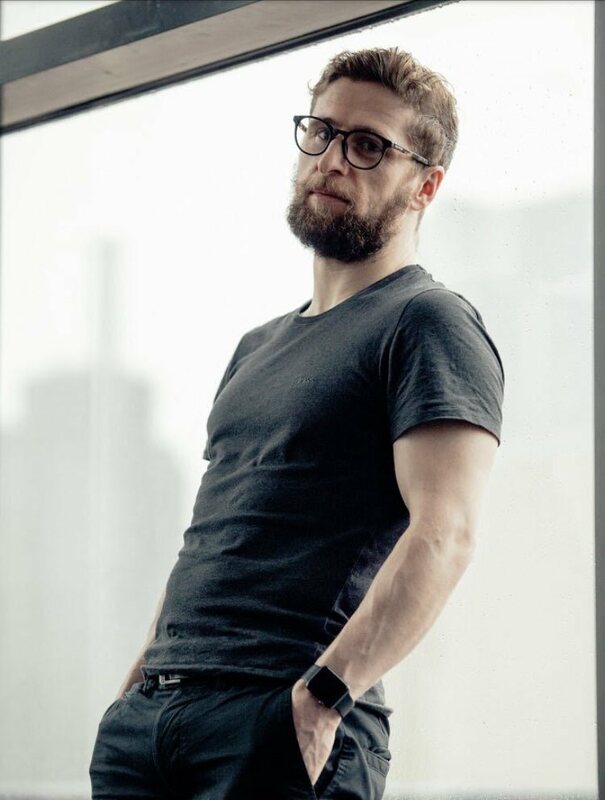 AM: Yeah…I think people have the idea that a physical actor moves around a lot, does handstands and cartwheels, but acting is about the body. In any play, Beckett plays, before you utter your body is communicating. I picked this up from working with Mikel as a director, he is such a great reader of the body. He can tell that I am not settled because he sees my little toe wiggling. That is not just because he is such a great director but I think we as Irish people are amazing readers of physical language. Kavanagh talks about the ‘wink and elbow language of the light’. We are so attuned to that. So I am fascinated by the stillness and the movement of the body. That is where the work comes from. Estragon and Christy Mahon I think are just as physical as anything I have ever done. I am trying to bring that into this play as well. The interview continues in Part Two later this week.